Background: Cleft lip and palate is one of the most common facial birth defects. On average and as a simplistic statement, it presents amongst all races and sexes combined at 1:1000 birth occurrence rate. It has a wide variability in the degree of involvement of the lip and palate. But the unilateral cleft lip and palate deformity is probably the most recognized degree of cleft involvement and may well be the most common as well. The initial or primary cleft repair operation usually has the most dramatic effect on facial appearance. 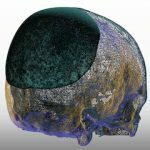 It gets the foundation of the lip and nose shape for life as well as molds the split upper jaw segments into closer approximation for bone grafting later. But despite the dramatic realignment of the orofacial structures, this is not the last cleft repair that will be needed or of benefit. There remains intraoral work on the palate, upper jaw, and teeth and perhaps the throat speech mechanism as well. Even the initial improvements in the shape of the upper and nose will eventually need adjustments as they may be adversely affected with the substantial facial growth that is to occur. 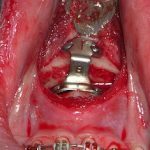 For these reasons it is best to think of cleft repairs like a game of golf….it will requires 18 years (holes) to fully complete and there will be the need for multiple swings and club changes along the way. (surgery) But how many of such surgeries can never be precisely credited beforehand. Case Study: This infant female as born with a right unilateral cleft lip and palate deformity…which was known before birth by 3D ultrasound. Once she had reached four months of age, she was ready for her initial cleft repair. Under general anesthesia a rotation-advancement type of complete cleft lip repair was performed. As part of that procedure the widened nasal base was brought over but a cleft rhinoplasty was not performed. A cleft palate repair was later performed at 9 months of age and her four year followup showed the results of these earlier primary efforts. This gives her an acceptable facial appearance to begin preschool but alveolar bone grafting, orthodontics and secondary nose reshaping surgeries are assured future efforts that are needed. 1) Unilateral cleft lip and palate deformity is one of the most common of all orofacial clefts. 2) While the initial cleft lip and nose repair sets the external foundation for the face, it is far from the last cleft repair that will be needed. 3) A primary cleft lip repair should really be called a cleft lip-nose repair.